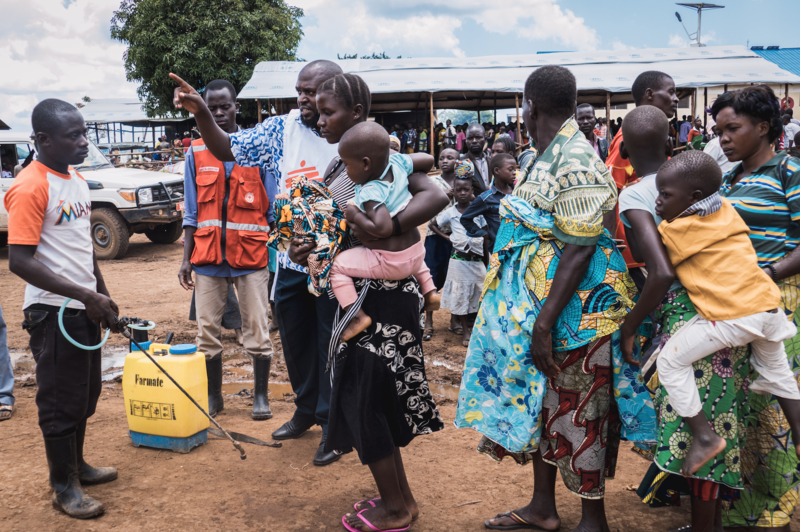 Fleeing the escalating violence in the Democratic Republic of Congo’s (DRC) Ituri Province, the lines were mostly made up of women and children. They were waiting in turn to give their account of why they had come and what they had left behind: home, husbands, sons and fathers – their life. Currently the Ituri Province is seeing violence flaring up between the Hema and Lendu ethnic groups, mainly over land disputes. This is forcing a number of people to flee the country, according to a U.N. report – between January and February 2018, more than 44,000 Congolese arrived in Uganda as refugees. Those who arrived look tired. They stared wide-eyed at the people scribbling names into registration notebooks. We were at the Sebagoro landing site, the main entry point from Lake Albert. Some days, at this site, the number of arrivals can reach over 500. “This is the first stage of entry,” said Tam Daniel Roger, who overlooks the UNHRC Emergency response team, as he pointed towards the registration line. With over 10 years of experience in the UNHRC, Daniel has overseen a number of refugee programmes – from Sierra Leone to Guinea. I asked him if he was nervous about the escalation of violence in the DRC, and about the increasing numbers of refugees in Uganda. He told me that compared to what he had seen before, this particular situation was being well contained. After the refugees completed the registration procedure, they prepared what little possessions they had to be transported by bus to the camp. If you look out across Lake Albert from the shores of Sebagoro, you can see the mountains of the DRC. When the sky is clear; you can make out the trees on the mountainside. When the cloud is rolling in; you can just make out the hazy outlines of the summit. As the refugees were loaded onto buses, and driven down the dirt track away from the landing point, those mountains stood as their last view of home, a memory of what they were leaving behind in the Congo. The DRC is Africa’s second-largest country by land size, and has a population of over 75 million. It is a country blessed with intensely beautiful landscapes and vast mineral resources, but cursed with a weak political system and constant conflict. U.N. data suggests that around 10 million people within the country need humanitarian aid. We arrived at Kyangwali refugee camp registration stage. A zone full of temporary shelters, buses and U.N. vehicles. Thousands of people were walking behind the wired fencing – children playing with cans and rope, women carrying babies and stoking fires, the men that made it here, sitting alone – seemingly numb to any emotion. CGTN’s Robert Nagila spoke to a few that wanted to talk, or who could, in Swahili – those he spoke to said that their houses were burnt to the ground, people were murdered with machetes and security forces fled from their posts. For many of the women and children who arrived at the camp, they had had to leave behind the men to look after the land back home. Some mothers even had to leave behind their children. 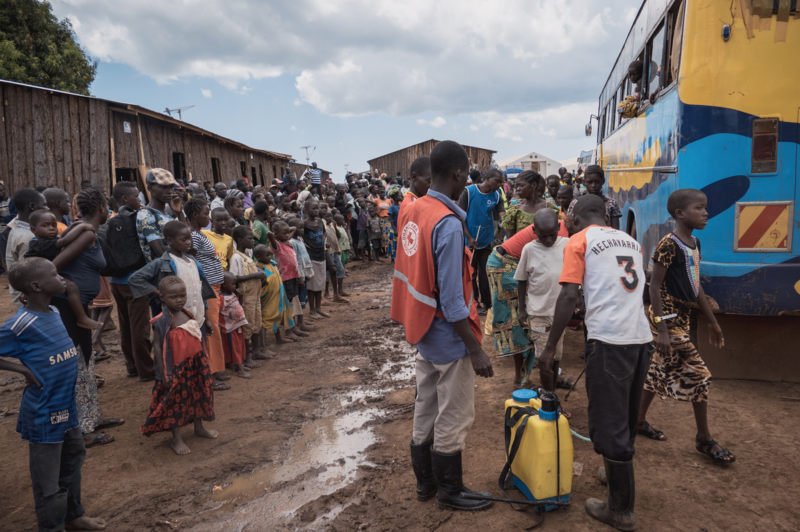 After exiting the bus, the new coming refugees entered the sanitation area – which involved a man with a fertiliser spray pack spraying their feet and hands. They then went on to the medical screening. Here, children received vaccinations, and all went on to be checked for malaria. A UNHCR official told me, that after the cholera outbreak in the camp, medical screenings have become even more intense and sanitation is being carefully watched. After the screening process had been complete, the new arrivals were then treated to a hot meal and introduced into the holding zone. This zone would be the home for the people until their own plot of land within the camp was sorted – one where they could rebuild their life. “The aim is to bring them their own piece of land. Their own place to do agriculture, farming. It is with the idea of recreating the lifestyle that they led in the DRC.” Daniel said. 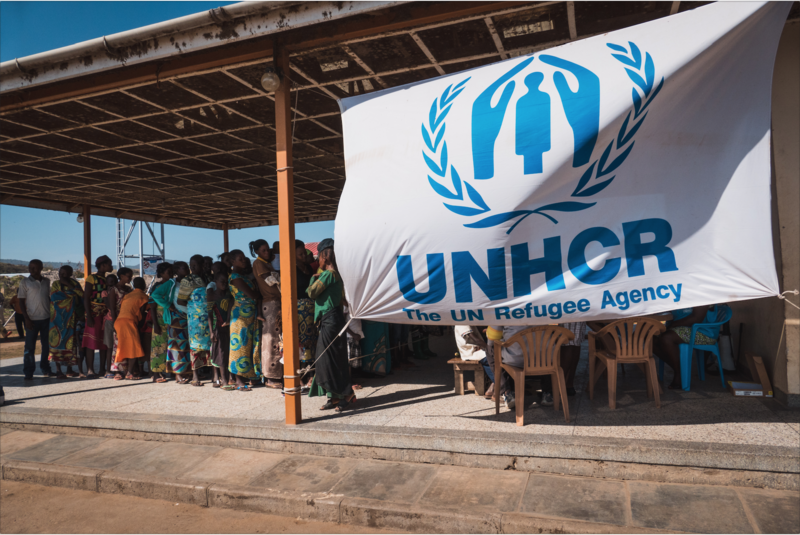 Currently, it is estimated that over 250,000 refugees from the DRC are in Uganda. Looking around this particular camp, it appeared that many of those were children. Speaking to a few of them – children between the ages of eight to 16 – they told me of their experience in leaving behind their homes. “People were killing each other, we had to leave.” One boy, 10 years old, told me. He stood in front of a group of around twenty other children who nodded their head as he answered. For now, these children and their mothers will have to wait in the holding zone for their papers to be processed. 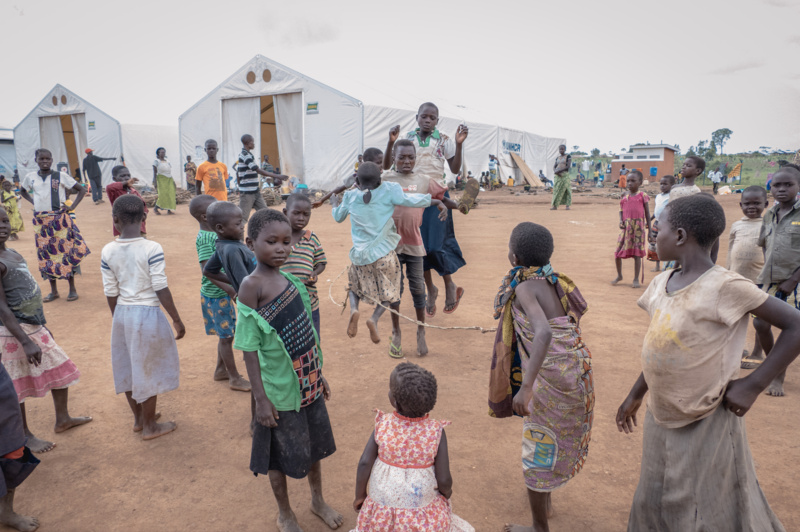 As they begin their new lives in Uganda, those lucky enough to have escaped the violence will now enjoy a time of peace away from the sound of gunfire and late night screams. However, they will never forget the people that were left behind.